Sean Szymkowski September 21, 2018 Comment Now! Ram has added a dose of luxury to its popular off-road 1500 Rebel model. 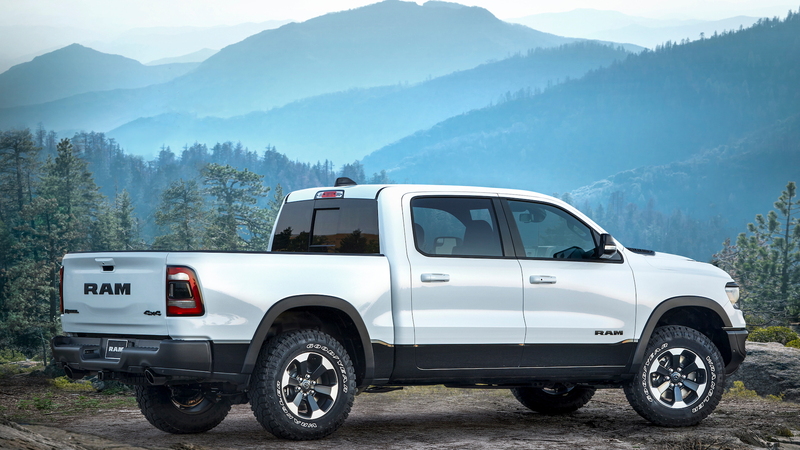 The brand announced Friday the 2019 Ram 1500 Rebel 12 package, which combines some of Ram's luxury and technology features with the off-road capability of the Rebel. The 2019 Ram 1500 Rebel 12 begins life as a standard Rebel model with all of the extra goodies. They include a standard factory lift, locking rear differentials, Bilstein shocks, skid plates, and 33-inch tires. With the off-road portion of things taken care of, Ram focused on the finer things for customers. 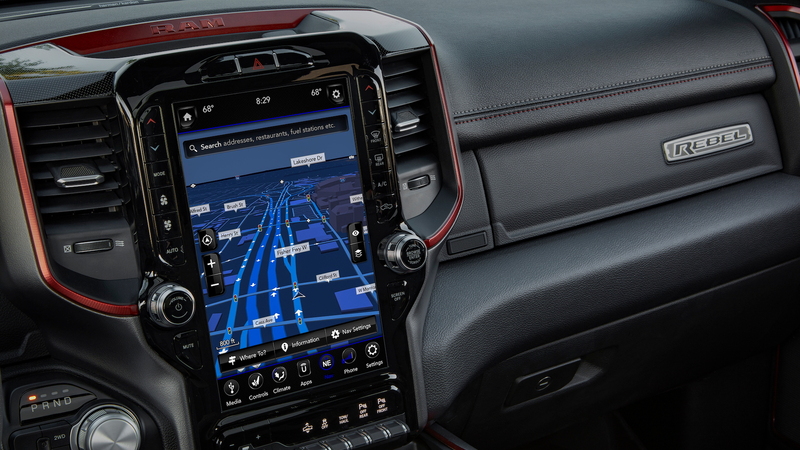 The Rebel 12 package notably adds the brand's 12-inch UConnect infotainment system with navigation. The fourth-generation system includes the ability for multi-touch gestures, speedier processing, sharper graphics, and more. The 12-inch system also supports split-screen capability. To coddle off-roaders better, the truck adds leather seats, which marks the first time the upholstery will be offered with the Rebel. 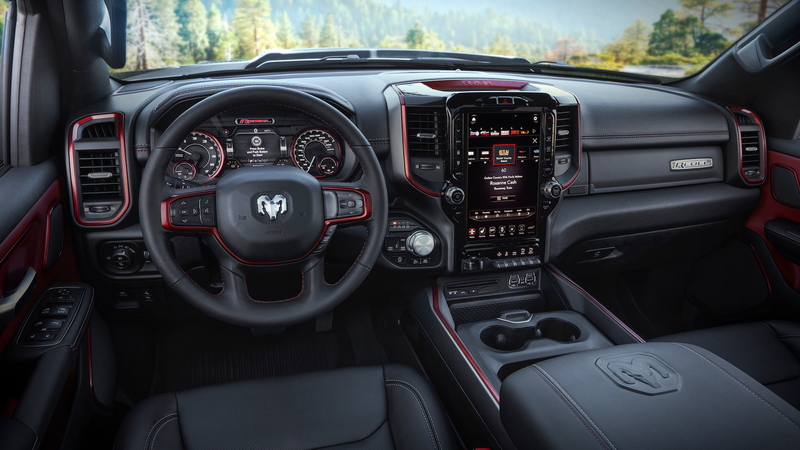 Ram spruces up the interior further with more leather trimmings, heated front seats, and unique metal speakers with the Rebel’s signature Radar Red anodized finish. Hiding behind the speaker plates is a 900-watt Harmon Kardon system with 19 speakers and a 10-inch subwoofer. The brand will offer the Rebel 12 package on all cab configurations in any color and with any available powertrain. The least expensive way to step into the more luxurious off-roader is the base Ram Rebel 12, which starts at $48,685, including a $1,695 destination fee. 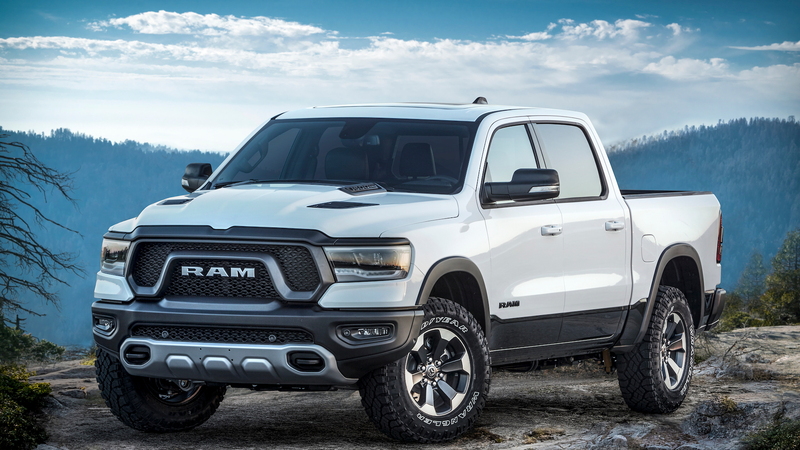 Look for the truck to reach Ram dealerships in the fourth quarter of this year, which will make do until a production Ram TRX debuts before 2022.